New recipes to create objects that could only be found in dungeon chests. Horse Accessories 1.6.2 and 1.6.4 is a mod that allows crafting iron armor, gold and diamond for our horses, besides saddles, objects that were not able to craft up to now. Although not only that, it also adds recipes to create the nametags. As the mod is primarily focused on everything related to the world of horses in Minecraft, this mod is also responsible for generating change horses in the world (now only appeared on the plains) extending his generation to other biomes, as the Extreme Hills, taiga, deserts and forests. 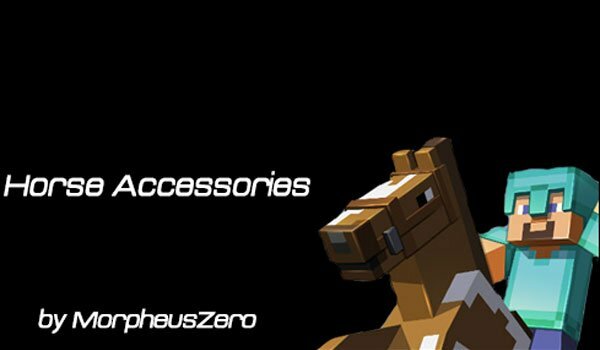 How to install Horse Accessories Mod for Minecraft 1.6.2 and 1.6.4? Download MorphCore 1.6.2 or MorphCore 1.6.4.